We are a small kennel located in West Central MN. 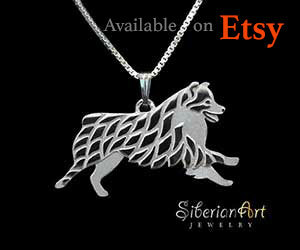 We breed for temperament, structure and an all around versatile dog. Our dogs are house dogs with lots of play time outside. We participate in canine agility, rally and we are starting to do conformation. If you'd like to know more about us, please feel free to email us or check out our FB page. Quality Aussies from Health tested parents—OFA hips, elbows and eyes certified. We breed to the standard for temperament, structure, and movement. 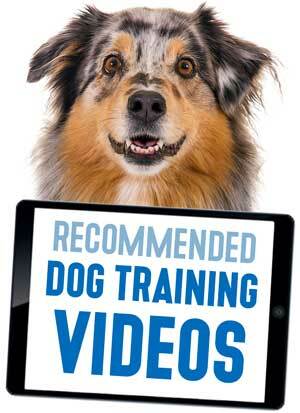 Our dogs excel in all areas of competition and make wonderful companions as well. 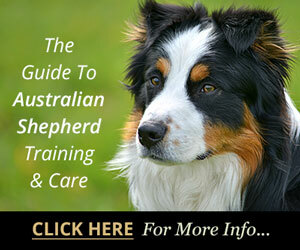 Raising Show/Herding and pet Australian Shepherds. 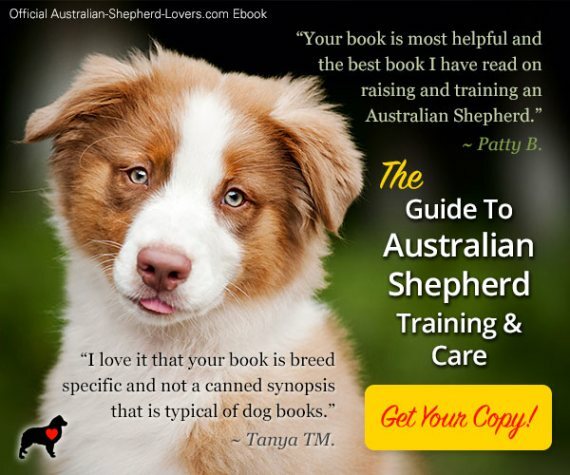 Our breeding program is dedicated to breeding the best traits in the Australian Shepherd and raising quality dogs as family and working companions. 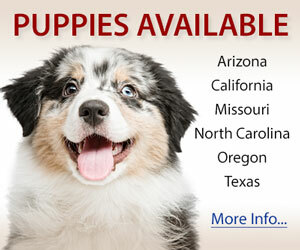 Our standard pups are eligible for ASCA and AKC registration, and have a one year health guarantee. We put a lot of thought into the selection of the dam and sire. We wanted to breed foundation lines where temperament, willingness to please, brainpower, physical condition, and natural instincts are foremost. Our puppies come from proven Champion and/or Hall of Fame pedigrees. They are intelligent, gorgeous, have healthy teeth/gums, and are loyal beyond belief. We have home raised and they are well socialized. They will be the BEST dog you have ever had! Our puppies have been raised in an environment with good socialization with the ability to explore the world around them. The pups lineage are OFA hip-tested good and CERF eye-tested clear. Sire is OFA and CERF certified, Dam CERF certified. The puppies are up to date on vaccinations, de-worming, and vet checked before they go to their new perspective families. Shipping and/or delivery options are possible at buyer’s expense. Puppies will be sold on a spay/neuter contract. Other arrangements maybe considered prior to final sale. 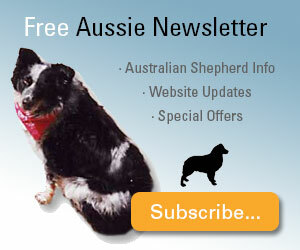 Lastcall Aussies is a small family. All our dogs live in the house with us. We compete mainly in conformation, but also are involved with agility, obedience and 4-H. We strive to produce dogs that are both beautiful as well as smart. Aussies for work and play. 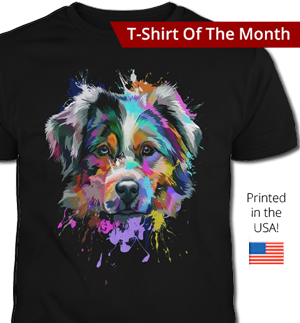 Waterfall Australian Shepherds is a small kennel located in central Minnesota. 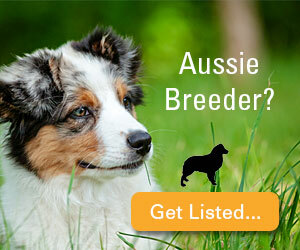 We have 1 litter per a year and breed for an all around Aussie. 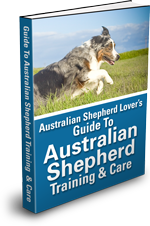 All of our Aussies hips and elbows have been OFA'd, their eyes have been CERF'd clear, tested DNA for hereditary cataracts, DNA'd parental verified, MDR1 mutation tested, and temperament tested with kids. We have pups from our kennel that are titled in agility, rally, obedience, and conformation!